For quick, easy to wield defense, deflect the blows of your enemies with the Polished Steel Mini Buckler. 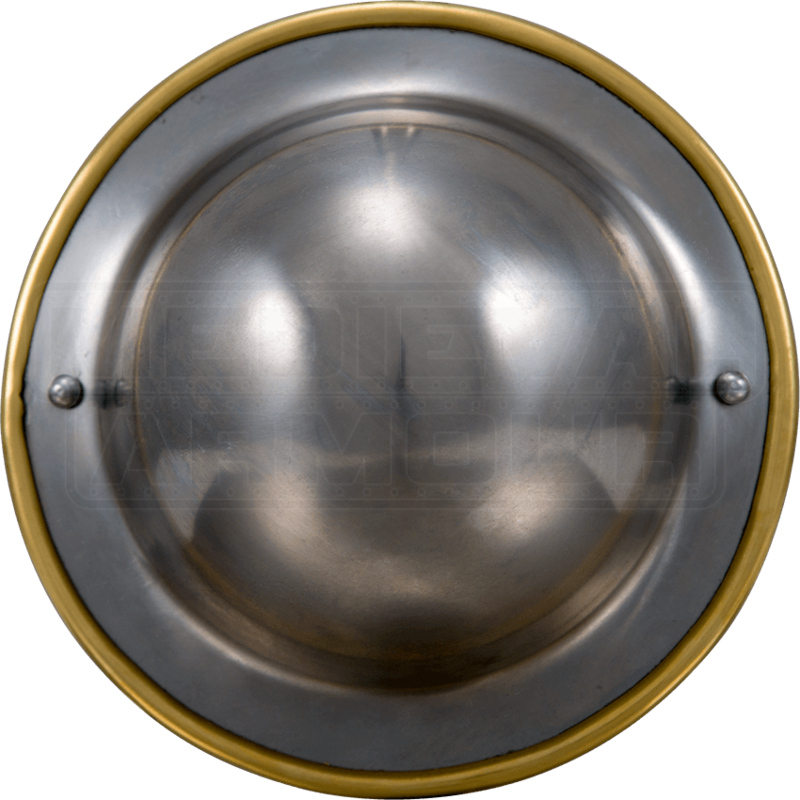 The round mini shield is made of polished steel and is accented with a brass rim. A handle on the back provides a secure hold. This 16 gauge steel buckler has a tall, round dome. When you want something fast, lightweight, and easy to handle, this small steel buckler is the perfect handheld defense.